IMCDb.org: 1964 Ford Consul Cortina Estate MkI in "Rhodesia Countdown, 1969"
Ford did built British, German and American models in Harare (Salisbury back then). This Wikipedia article about Ford Rhodesia is only in German, but it shows pictures of some vehicles built by them, and the 1961 - 1966 Zephyr is among them. http://de.wikipedia.org/wiki/Ford_Motor_Company_of_Rhodesia mentions so many different UK/US/D models it is a bit mind-blowing if they were all actually assembled, but I can't read German. Does the text say Cortina from 1964?? https://www.flickr.com/photos/ifhp97/4903830736/lightbox/ and https://www.flickr.com/photos/ifhp97/4903828668/lightbox/ add some illustrations and claims, including being a source of RHD Taunus P3 and the Consul Classic. That rings another faint bell about the Kenyan conversions by EA Hughes of 17 Consul Classics into estates - /vehicle_310545-Ford-Consul-Classic-Station-Wagon-109E-1961.html - and I think I've seen a comment somewhere that these started as Harare assembled saloons. So I think you've hit something useful here about Ford Rhodesia assembly. But it seems a bit too spectacular in terms of the apparent range of models (cars/trucks/tractors) plus countries of origin for credibility - far wider for instance than known ranges from Ford assembly plants in eg Aus, NZ, ZA, South America, so I'm still a bit cautious. 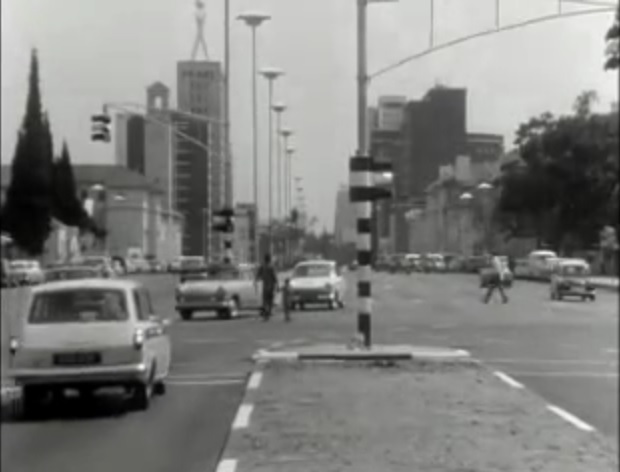 If Ford's intention was that Rhodesia became their main manufacturing base for the whole of southern Africa (so exporting to eg ZA, Kenya, Uganda, Tanzania etc) this might become more believable, but would presumably have been halted after Rhodesia declared UDI at end of 65 and things got messy. Also noted from http://www.classiccarsinrhodesia.co.za/Makes/Ford_UK_1941_onwards.html - a Mk1 "1965-66 Cortina GT ... Built by Ford Motor Co, Rhodesia....." (two-thirds down the page). And Link to "www.enfostuff.com" - including a RHD early 12M estate in Salisbury, plus photo of Saisbury assembly line of Anglia 105E and Mk2 Zephyr/Zodiac - Link to "i269.photobucket.com"
"The Ford Motor Company of Rhodesia (Pvt.) Limited was a former car- and engine-manufacturer from Salisbury, which was the capital of Southern Rhodesia, a British colony at that time. The company was founded as a subsidiary of Ford Motor Company of Canada in 1957 and was responsible for building vehicles for markets in East Africa and South-West-Africa. The company startet in 1957 with importing complete vehicles from the United States and the United Kingdom. The British cars Anglia 105E, Consul, Zephyr and Zodiac, as well as the American Custom, Galaxie and F-100 were available then. One of the most successful full-size vehicles in Rhodesia was the Ford Fairlane, which was available as a regular sedan, a "500" model and as a wagon, which was called "Squire". In 1959, the Edsel Corsair and the Ford Starliner were added to the model range. In 1961, Ford Rhodesia began with the assembly of their own vehicles and engines, starting with the old Ford Zephyr, not manufactured anymore in Europe, the new F-100, and the Fordson Dexta and the Thames Trader. Chassis and cargo area of the Ford F-100 were produced by the local company "Kabot Brothers", because the previous generation had been useless in the African terrain. Another new car in the lineup was the Ford Zodiac, along with the American Ford Falcon [XK], which replaced the Ford Custom. As in most other countries, the Ford Taunus 17M was also available in Rhodesia, so was the new generation of the Ford Consul. After Custom and Starliner vanished in 1962, the model lineup was refreshed in 1964. New models included the Ford Cortina, together with the new Mustang. Both Fairlane and Falcon were built in new generations. When the brand of Fordson was discontinued in 1965, there was no farming vehicle built by Ford for the south african market left. When looking for a new partner, Ford Rhodesia worked together with Deutz, and built the Deutz F1M 414. Ford's era in Rhodesia ended with the declaration of independence, because resolutions by the United Nations made them leave the country. Because of formal reasons, Deutz was allowed to build their tractor one more year, before the company was bought by Willowvale Motor Industries, a state-owned company, although the factory itself was still owned by Ford." Have entered this as 64+, made in Zimbabwe as best equivalent in the list. Quote The company was established in 1961 when Ford Motor Corporation of Canada imported a complete assembly plant to assemble the Ford range for the then Federation of Rhodesia and Nyasaland. It was forced to close down after UDI in 1965. The Industrial Development Corporation bought the company in 1967 for contractual assembly. Franchise holders were allocated foreign currency for the importation of motor vehicle kits, which the company then assembled on their behalf. These franchises included Alfa Romeo, Peugeot, Nissan (Datsun), Toyota, BMW and Mazda. In 1986 the Government of Zimbabwe instituted reforms for the industry, under which franchises were to be held by assemblers under a vertical integration policy. Willowvale Mazda Motor Industries became the distributor of the passenger and commercial vehicles under government direction. Lack of foreign currency restricted production, so the company sought a technical partner who could provide the product as well as transfer of technology. Mazda Motor Corporation of Japan was selected as the technical partner and a joint venture agreement was signed in 1989. Other parties to the strategic alliance were the industrial Development Corporation of Zimbabwe (IDC) and Itochu Corporation, a Japanese Trading House. According to the official site, it currently assembles the Mazda3 and the BT-50. There is no listing for D Ford. Thanks - worth knowing. But I still think RHD US-based stuff such as Falcon was common product across eg NZ, Aus, ZA, Rhodesia so likely to be CDN-supplied with shared production sequences/updates. Noted in passing that World Car Catalogue 1967 lists Triumph assembly in Rhodesia of Herald, 2000, Vitesse, and Spitfire. References may be a year or two out of date, as I think their listings had some degree of time lag. I haven't looked for other UK makes pre-UDI, so there may be others. I strictly requesting to put at least colonial-era flag instead of Zimbabwean. We don't have one to use - Zimbabwe is our best alternative. dsl wrote Noted in passing that World Car Catalogue 1967 lists Triumph assembly in Rhodesia of Herald, 2000, Vitesse, and Spitfire. References may be a year or two out of date, as I think their listings had some degree of time lag. I haven't looked for other UK makes pre-UDI, so there may be others. I sadly lost my World Car Catalogue collection (1967-1985) to flood damage in 2016, but I recall much of the information in the "Assembly in other countries" section was either outdated or outright incorrect. 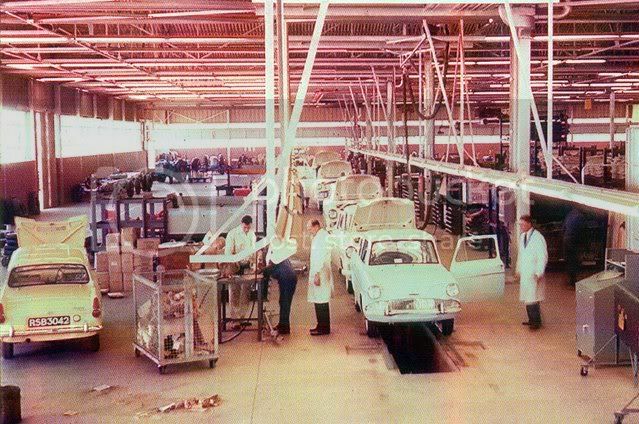 The only other car assembly plant in Rhodesia was the BMC facility in the city of Umtali (now called Mutare) which began production 8 October, 1960. BMC continued assembly for two years after UDI using stockpiled CKD kits. In 1969, it fell under the same scheme that involved the Ford factory and eventually became Quest Motors. I would assume that the Triumph models mentioned were assembled by BMC and not Ford. @mazeltough - agree that the WCC listings can be woolly, so I try not to rely on them without supporting evidence from elsewhere if it can be found. But sometimes it's the best we've got. Details from 1967 WCC on Triumph list it as "Leyland Albion (Central Africa) Ltd" with a PO Box number, Southerton, Salisbury. So presumably an extra activity alongside truck assembly?? Direct linkages between Triumph and BMC only came with the BMC and Leyland merger in January 1968. However local arrangements in remote parts of the globe often created strange partnerships between what in home countries would be seen as rivals, so impossible to rule out unlikely marriages sometimes. WCC 1967 also lists a Rover venture - "The Rover Rhodesia (Private) Ltd" with another (different) PO Box number, Southerton, Salisbury. As both Rover and Triumph were part of Leyland UK at this point, I guess likely to be same factory. However the only listed item is Land Rover - no car ranges. dsl wrote We don't have one to use - Zimbabwe is our best alternative. Then we have to create one, as we did for Austria-Hungary. Rhodesia would be historical correct. P.S. for the same reason I'm still for the project, to create the old German flags, the black-white-red one and also the swastica. The historic truth is, that all those years the black-red-gold flag was not only unusual, it was even forbidden. 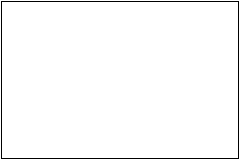 Page generated in 0.578 sec.